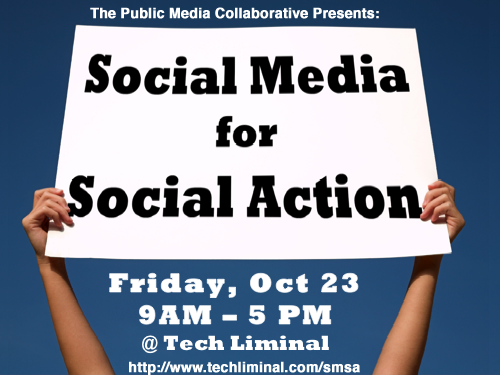 I‘ll be among the trainers on hand on Oct. 23 for Social Media for Social Action, a day of training and workshops geared especially for Oakland nonprofits and community organizations. Interested in blogging, Twitter, Facebook & other social media tools for your organization, but not sure how to measure results, plan a campaign, or whether you have the time? Start here: Join us for a day of high-quality, low-cost workshops tailored to your needs. Look for a full day of workshops led by a team of social media and multimedia experts from Public Media Collaborative, Spot.us, Oakland Local, Socialbrite.org, The Center for IndyMedia and Newsdesk.org. The following day, it’s the Return of East Bay Bloggers.